According to sources, adults will be vaccinated during a four-day polio immunization campaign that started on Monday in Balochistan. 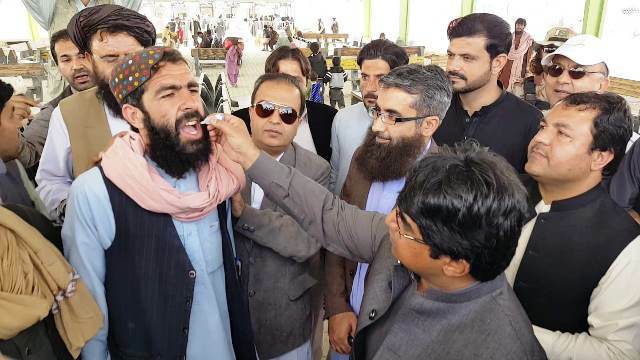 Chaman Deputy Commissioner Shafqat Anwar Shahiwani launched the drive at the Bab-e-Dosti [Friendship Gate] by administering polio drops to adults. Officials of the provincial health department and local tribesmen were also present. The special card will be issued for a year to travelers who travel through Chaman after they get their vaccination. People said that measure will bring about positive results and help eradicate polio. Between 20,000 and 30,000 people travel between Pakistan and Afghanistan using the Bab-e-Dosti every day. It is our responsibility to end polio in the country, said residents of the area. Appendicitis – What Causes It and How to Treat It?